Happy Friday! I am so excited to share today’s post with you. 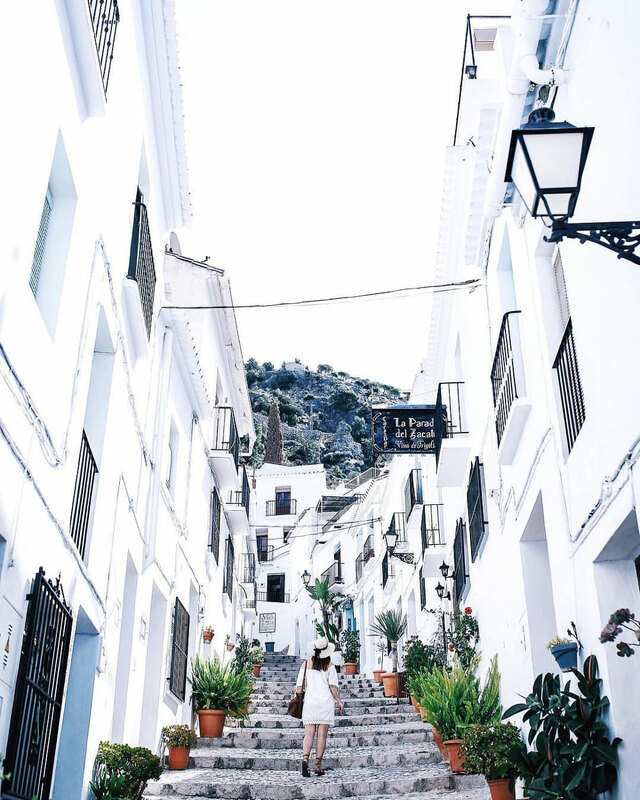 As you guys already know from my Spain | What You Need to Know story, I honestly fell head over heels for the Andalusia region of Spain. 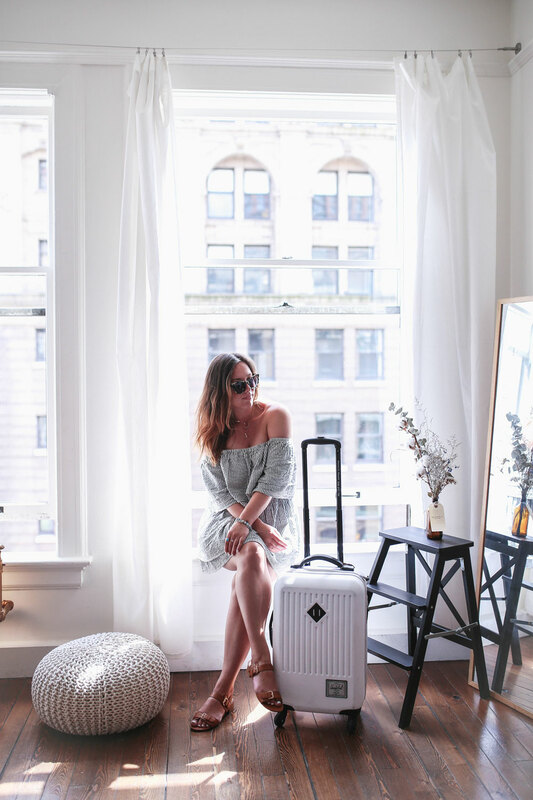 I knew it was going to be a fast trip but as you guys know from my previous packing lists (my epic 3-week European list, my 3-week Italy list, my 3-week Greece list and my 5-day Pacific Northwest list, all carry-on only! ), I like to travel light and to be strategic. This was going to be a shorter trip (just a week) which is nice because you can maybe pack a few more special pieces rather than largely separates (though I think this would work for a longer trip too—I give a few tips on washing on the go in the video below!). 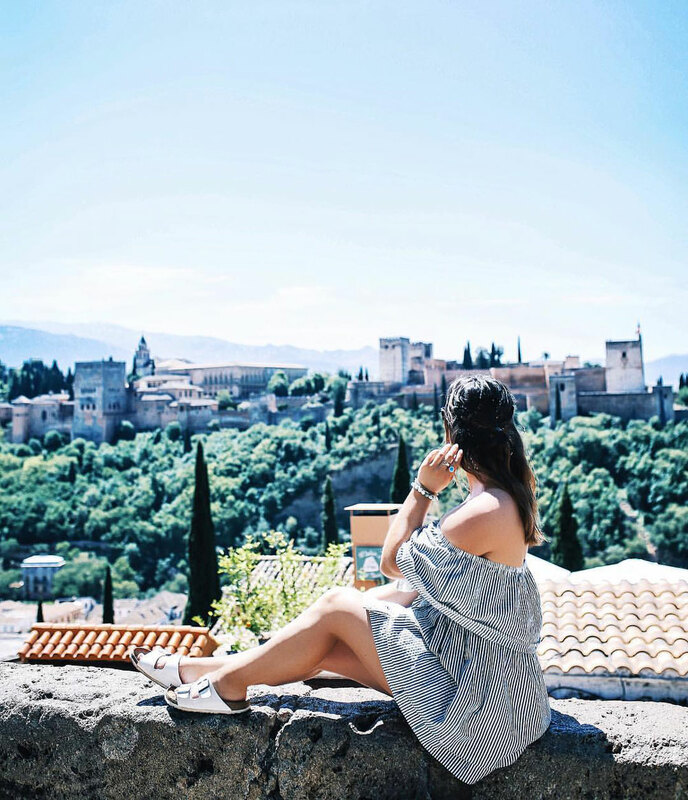 Give my Spain packing list video a watch and then scroll down to the bottom of the post to learn more about what I packed, to nab the packing list for yourself and to shop what I wore while in Spain if you’re so inclined! So as you guys can see in the video, the trick to deal with the heat is to get pieces that aren’t going to a) be heat-inducing, b) be restrictive and c) be walking billboards for how sweaty you are. Cotton blends are your friends, though for camisole tanks or dresses silk or polyester is fine! To highlight a few of my faves from the trip, this Tularosa Bay Dress from REVOLVE was an absolute lifesaver of mine. Other chesty chicks know that especially in the summer, it starts to be a serious pain to wear restrictive bras to keep everything up (though PS if you need more chesty styling tips, you can find them here). I loved this dress because I could easily wear it without a bra which to me, is literally the holy grail. It was also very on-trend in Spain (the whole dramatic ruffle or tiered thing is not a stereotype, it’s actually really worn a lot!) and so perfect for a hot day—so breezy! Just make sure you put on that SPF! This Quinn Smocked Dress (also from Tularosa, REVOLVE has really great travel dress options) was also a favourite—I typically size up for any of my travel pieces since as I mentioned in this post, I have digestive issues that really tend to come to a head when I’m travelling (aka major bloat). I loved the relaxed silhouette of this dress to hide the insane bloating situation I had a few days in and it didn’t hurt that the dress had some really lovely detailing—it still felt special while also being super comfy. Finally, my star piece! I’ve worn this Aritzia strapless Horatio dress on pretty much every trip I’ve taken in the past few years. Whether it was in Italy or in Greece, it is just the perfect, effortlessly chic, simple summer dress. Though it’s white, it’s lined really well so I never feel uncomfortable in it and it’s also beyond comfy. I’ve worn it as a top in a pinch too—you can either belt it, wear it as a loose tunic or tuck it into your bra to create a crop top. You have to get innovative when you stick to carry-on only! And now, the packing list! Pin this guy below for your future Spain travel or for any hot travel, really. You can shop it all at the bottom of this post, plus I’ve added a few other options that I think would be really great travel pieces. 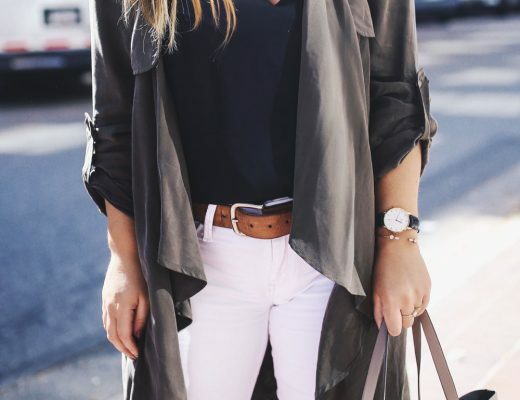 One note: if you’re going for a longer period, I would just add in a few extra separates so that you can maximize outfit options! Also, this list doesn’t include my in-flight look, which contains a few key pieces that I use when in a pinch (runners for a quick workout, a wrap if for whatever reason there’s an especially chilly night or air-conditioned travel, etc)—you can see that post here! 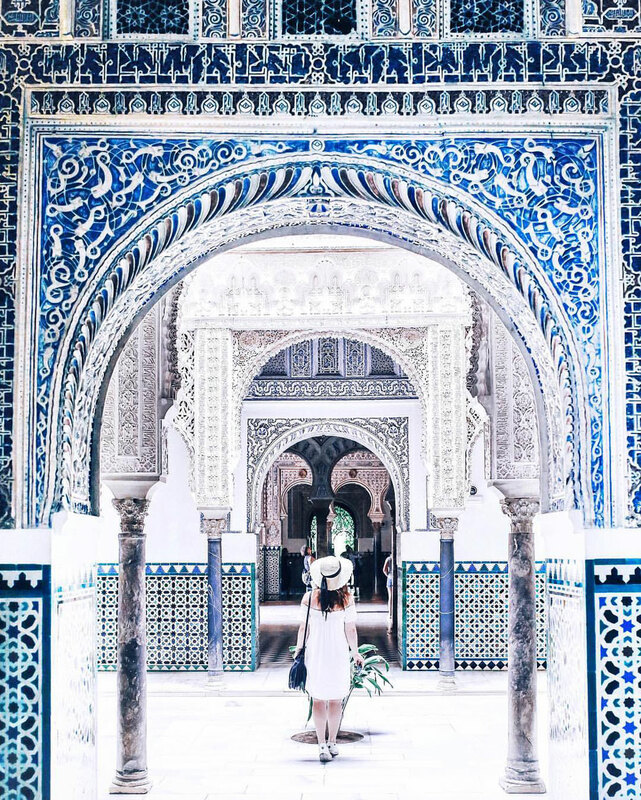 Final thing is that you’re going to want to capture these looks as beautifully as you can, so hit up this post to get my Andalusia (but really just summer-apropos) Lightroom preset! And with that, I’m off! Hoping to just have a relaxed weekend because I’ll be out of town for the next two weekends so will be on hand if you have any questions at all—just shoot me an email, give me a shout on Insta or comment below! Happy Friday! I love this! So cute and easy. The timing of your Spain posts couldn’t be more perfect. I’m going next month and I am loving all the tips!!!! Definitely going to be looking at this post again when I start my packing list. Great post!! The clothing suggestions are so helpful for me! I’m headed to Europe this summer and I have no idea what to wear. Thanks!! A sweet video and gorgeous photos!